Kathmandu is the capital city of Nepal. 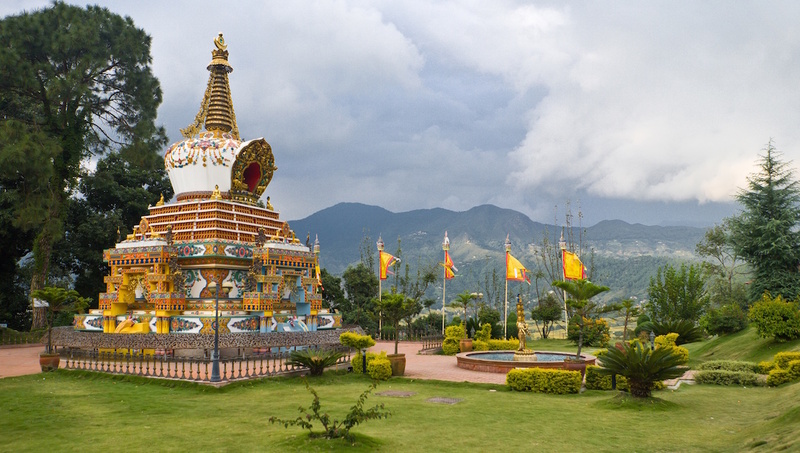 You can explore thousands of years of culture here, while making your way through historic temples and monasteries that belong to Hindus and Buddhists alike. Through the 19th century, Basantapur Durbar Square was the playground of the Nepalese monarchy. Due to natural disasters over the years, many buildings in the square have needed repair, but Durbar square maintains a tradition of Nepalese architecture and is ranked as an UNESCO World Heritage site. 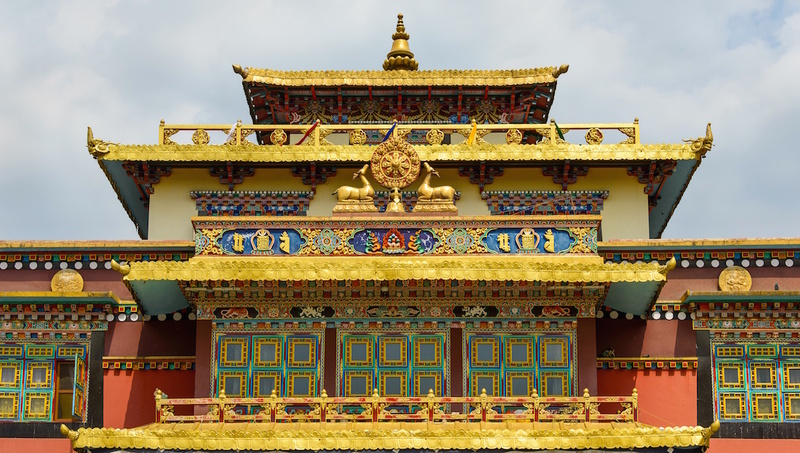 A Tibetan Buddhist monastery, Shechen Monastery was founded in the late 17th century. Three hundred monks take care of Shechen, which is one of six mother monasteries in Nepal. 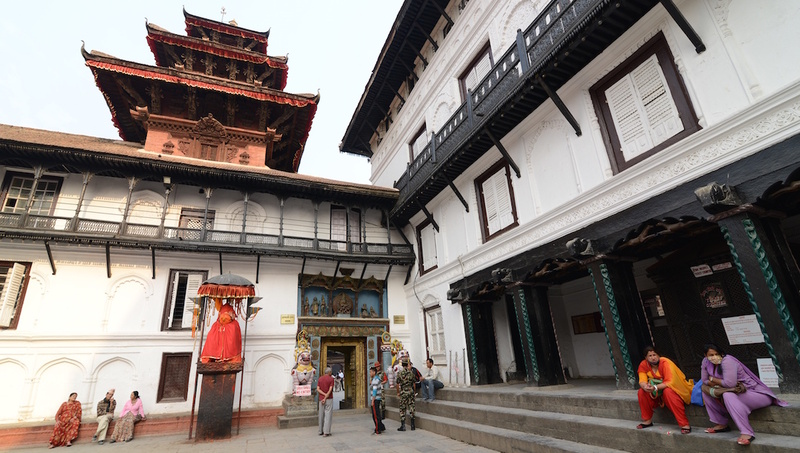 Located on an ancient trade route, this place of meditation is a must-see on any spiritual journey around Kathmandu. 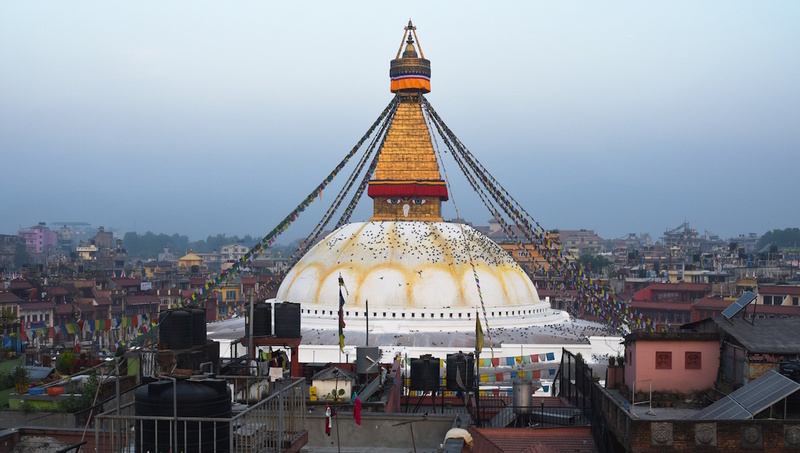 Boudhanath is one of the largest stupa's in the world, and many Tibetan traders and merchants have offered their prayers to this land over the centuries. The Kopan Monastery is not far from Boudhanath and is mostly known for teaching Buddhism to foreigners. Starting in the 1970s the monastery offered a month-long meditation course in November and December. At other times throughout the year, please note that the monastery is only open to the public on Saturday. 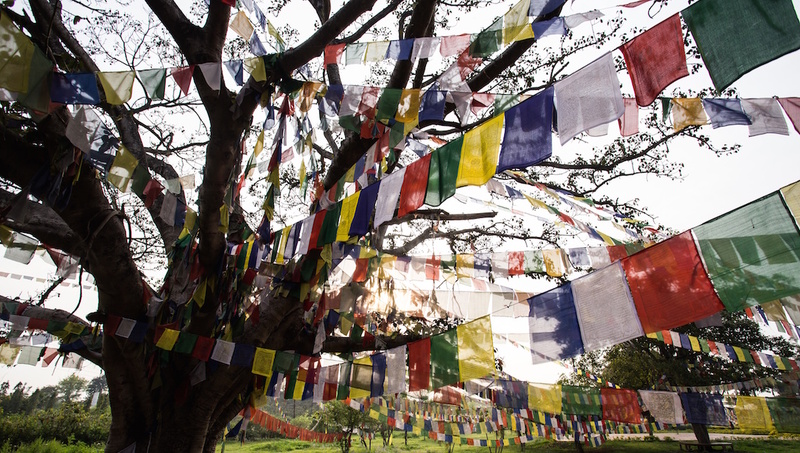 The Tibetan name of the Harati Devi Temple is Swayambhunath and translates to "sublime trees." The ancient religious architecture frames a museum, library, stupa, and more; and visitors are sure to discover much about Nepalese traditions of worship at the Harati Devi Temple. You'll find the Pashupatinath Temple on the banks of the Bagmati River. 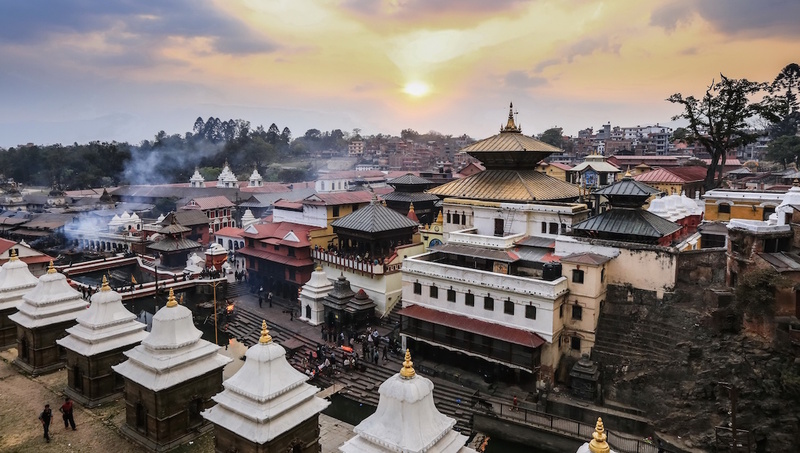 A Hindu temple, Pashupatinath has been on UNESCO's World Heritage list since 1979. If you're visiting in February or March, check out the Maha Shivaratri festival, which more than 70,000 people celebrate at this temple. A historical site in the tradition of Buddhism, Lumbini is where Queen Mayadevi is said to have given birth to Siddartha Gautama in BC 623. Immerse yourself in monasteries here, as Lumbini is in a monastic zone, in which hotels or restaurants cannot be legally built nearby. The easiest way to get around short distances is by hiring a bicycle rickshaw. You can also hire a taxi or rent a bike. Make sure to negotiate fares at the beginning of your journey. The best time to go to Kathmandu is October through November as the sun shines the most often. During the summer your plans are likely to get rained out--it's monsoon season. The second best time to visit is February through May, when winter is over but the rain has not yet begun. Many say Kathmandu has the most varied cuisine available in Asia. 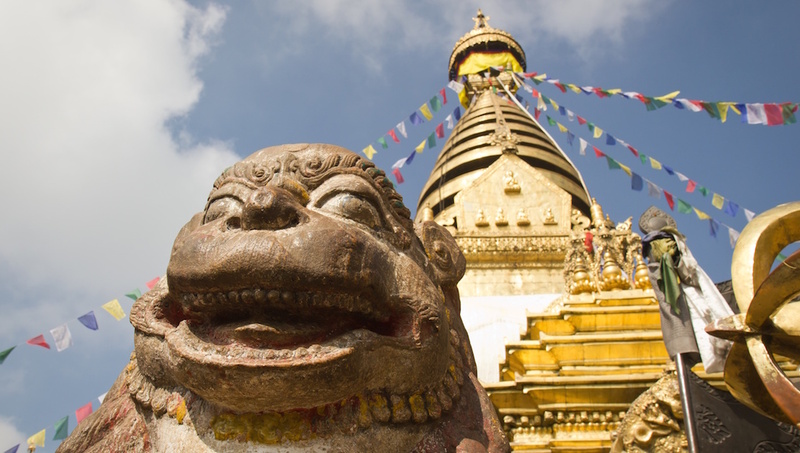 While you're in Nepal, be sure to sample some local fare. We recommend you try daal (lentil soup), with bhat (rice), or a vegetable curry. Another staple is a Momo, which is a Tibetan style dumpling that uses Nepali spices. The best time to visit Kathmandu is in the fall. You'll find the best weather Kathmandu has to offer, with comfortable temperatures in the 70s. Amazing trip. Helicopter pilot (Alistair) was professional and very safe. No problems of any kind. So happy we did it. Spending time next to Everest Base Camp is beyond words. Good guide, very informative, lovely temples, grotty city. An brilliant activity which gives you a great insights to the nepalise citchen and life. The family was just friendly and openminded. Guide super helpful and kind. The momos were sooooo delicious. Would do it again! It was a good tour, with an informed, articulate, guide. I do think though, mention should be made of the total entry fees charged, for access to the different locations, if you are European. Really enjoyed the tour. As I had been on a similar tour the day before, the guide thought on the spot a different tour for me. We had a great tour.